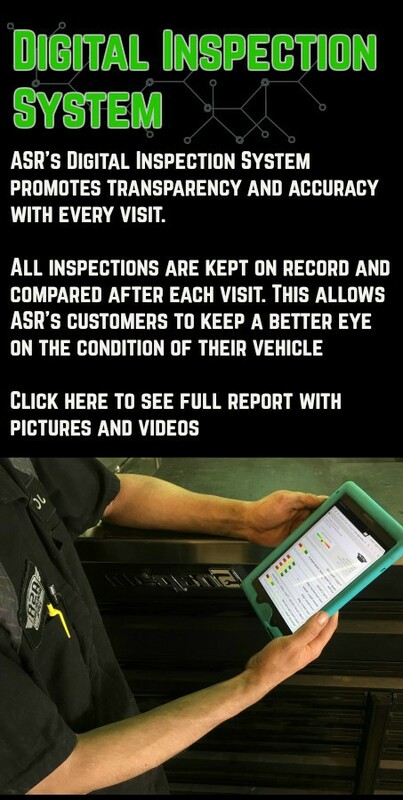 Vehicle Inspection Reports include a full examination of exterior lights, front and rear wiper blades, tires, battery condition as well as battery cables and connections. 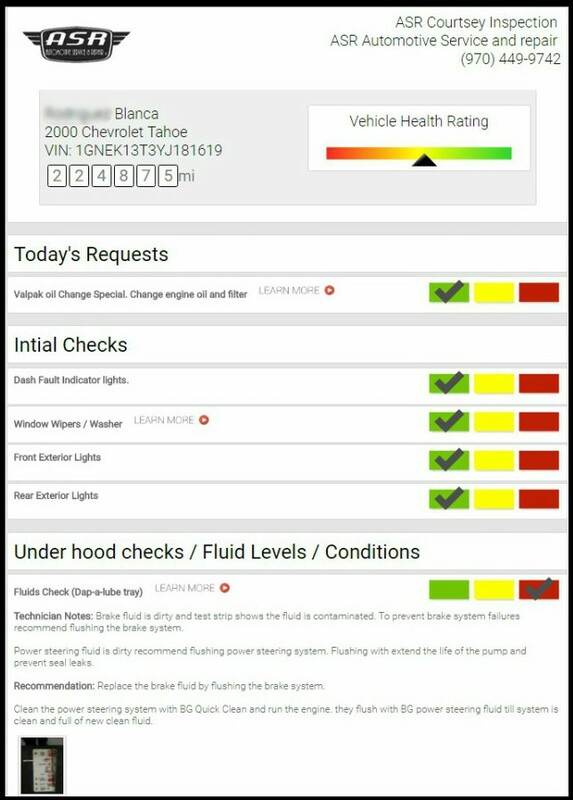 A full fluid level check of engine oil, brake fluid reservoir, transmission, coolant recovery reservoir, power steering fluid and windshield washer fluid will be performed. We will inspect your brakes&nbsp;front and rear linings, brake hoses, steel line condition, and the parking brake. We also inspect for visible leaks in the fuel system, engine, transmission, drive axle, transfer case, engine cooling system, shocks and struts, as well the condition of the belts (engine, accessory, serpentine and/or V-drive), hoses (engine, power steering and HVAC), engine air filter and cabin air filters, steering components and steering linkage, CV drive axle boots, drive shaft and U-joints, and exhaust system components.